Angular2 is out. The new version of the framework is much simpler to learn thanks to easier and more concise concepts like component-based architecture, new dependency injection or built-in modularity. In this step-by-step tutorial you will learn how how to get started with Angular2 with TypeScript and Gulp. Source code available on Github. Note the code and the article itself is not maintained anymore. 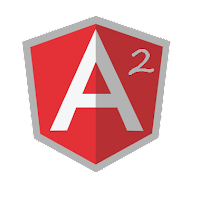 15/09/2016 - Upgraded Angular2 to 2.0.0 Revisited the article, added new code to reflect code in the repository. Added quickstart guide. 05/06/2016 - typings updated to 1.0.4. Section related to that part changed too. If you are not interested in a step by step tutorial, simply follow the below steps to get started quickly. node_modules and typings directories will be created during the install. The application will be displayed in the browser. Angular 1.x is probably still the most popular Front-end framework these days and there is no doubt Angular 1.x is a great framework. However it is incredibly difficult to master. The complex API and many concepts introduced since its launch make understanding the framework and thus using it effectively really hard. Angular2, on the other hand, is a new opening. The new version of the framework is much simpler to learn thanks to easier and more concise concepts like component-based architecture, new dependency injection or built-in modularity. 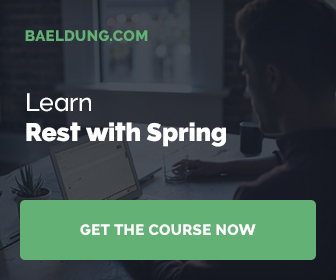 If you want to practice and start learning Angular2 there is no better place than angular.io. But if you are looking for the ways of utilizing Angular2 with Gulp - this tutorial is for you. Note: The source code for this article can be found on Github: https://github.com/kolorobot/angular2-typescript-gulp. The initial project is based on the Angular2 Quickstart: https://angular.io/docs/ts/latest/quickstart.html with some changes. The most important change is to separate source files from build files: src directory contains all the source files and build contains all compiled and processed files. The server uses build directory as a base directory to serve content. Create directory and files structure as presented above. Compiled files will be saved intto build/app. Please note that gulpfile.ts is excluded from the compilation. Note: If you import your project to IDE (e.g. IntelliJ) let the IDE use this file too. Typings will be download to typings directory and they will be downloaded on npm install. By default the content is served from the current directory so this needs to be changed. And since Lite Server uses BrowserSync it enough to provide bs-config.json that configures the server to serve content from build directory. TSLint checks TypeScript code for readability, maintainability, and functionality errors and in Gulp it can be used with gulp-tslint plugin. Note: For IntelliJ users, configure TSLint as described here: https://www.jetbrains.com/idea/help/tslint.html to get instant notifications during file editing. To get started we need a task(s) that compiles TypeScript files, copies assets and dependencies to a build directory. Several tasks are needed in order to achieve it. * Lint all custom TypeScript files. * Compile TypeScript sources and create sourcemaps in build directory. * Copy all resources that are not TypeScript files into build directory. * Copy all required libraries into build directory. * Watch for changes in TypeScript, HTML and CSS files. node_modules and typings directories should be created during the install. The libraries are reference from lib directory that is created during the build task. About module consists of two basic building blocks - component and its template. Todo module is a bit complicated - it contains components, models and services sub-packages. Angular Modules help organize an application into cohesive blocks of functionality. You should see the application running in your browser. IntelliJ handles the proposed setup with no problem. If TypeScript compiler is used in IntelliJ it should use the project’s tsconfig.json. In such case, changes to ts files will be reflected in build directory immediately. Much more is needed to make real use of this project. Therefore more features will be added soon. If you have any suggestion, comment or add Github issues. If you need more mature starter, have a look at angular2-seed project https://github.com/mgechev/angular2-seed. angular2-seed uses gulp in much more advanced way and it is already supporting production and development build, unit and integration tests and many more. Hi Rafał, thank you for this great article! I started working on a similar architecture with a typescript gulpfile but I'm currently struggling to find a solution to debug the gulpfile.ts inside IntelliJ. I should probably generate a sourcemap for the gulpfile.ts and try to use it for debugging. If you already tried something similar or have another solution, I'll be happy to hear it ;). Debugging with IJ and Chrome works fine. I just checked this with AppComponent. Sourcemaps generated in the Gulp task are correctly pointing to the TS files. I set breakpoint in a TS file and run index.html in debug mode (I don't run vie lite-server, but IJ). great article.. many people are not aware of this... but system.js is really just a stepping stone into JSPM... which is from the same dev. I demo jspm and in browser compilation, it's the only way to code and bundle. Thanks for the link! Will check this out for sure. Hi , How to combine lumen /Laravel with angular 2 for build ? I just clone git repo and run "npm install". Did you run npm run build after npm install? Hi! Thanks for good tutorial, could you make same tutorial for PhoneGap? It`ll be great! I get ERR! message Unable to find "es6-shim" ("npm") in the registry. I updated typings to 1.0.4, the commands too. gulpfile.ts (1,14): Cannot find name 'require'. This is strange, because compilation of gulpfile.ts is not needed. Did you install ts-node? This article is outdated... good job tho! Thanks for feedback. What is outdated? Could you please point it out so I can fix it and make it up to date? I get an error when I bootstrap HTTP_PROVIDERS. Anyone has an idea why this happens? Thanks for the post. I am getting errors on build, its about 3000+ errors and some of them are Build: '=' expected, Build ';' expected, duplicate identifier readonly etc in ng_for.d.ts, component_factory.d.ts, ng_model.d.ts etc. What could be the issue ?. I am building project in Visual studio 2015. Seems like Typings are not recognized. Does it happen in CLI too? I am having similar problems, were you able to solve the issue? Did you update npm, ts-node and everything else? Did you followed the quick tutorial on top? I re-checked this several times while working with this project. Maybe you could provide more details so I could try reproducing. Hi, thanks for this post ! I have a simple question : In your package.json you write a script with "gulp watch" command but your gulpfile.ts doesn't contain any "watch" task. Why do you have written this ? Does the "gulp watch" script work without task in gulpfile.ts ? I just change gulpfile.ts to gulpfile.js then those errors disappear. I just updated the article - with ts-node 1.3.0 - this is no more an issue. One More: I think the *.map file have the wrong source path. The path is: app/app.component.ts for example, but it should point to ../src/app/app.component.ts . Anybody an idea? I cloned the repository from https://github.com/kolorobot/angular2-typescript-gulp and same here. I think sourceRoot path is incorrect. Fixed in gulpfile. Now in maps you should get: "sourceRoot":"/src". I checked debugging in Chrome - it works fine. This is simply perfect article. Really Very Useful. Thanks !!! can we use gulp-webserver instead of lite-server ? You have already pointed the libraries to lib folder in Index.html before build process. But in ideal scenario this should be part of build process. How would you achieve the same? Nice post :) Just a question are their benefits to using the above typings dependencies over npm installed ones. hope you will help me out . I strongly advice to find some good tutorials on that. The code here is outdated. I am sorry, I don't maintain anymore. I suggest you will try with angular-cli to simplify the process of creating an app. https://pastebin.com/CniV4db4 I get this error upon build.. How can I fix this?